South Asian country Bangladesh is not still well known much from a positive perspective. Sometimes getting the right information and knowledge from the right source is also difficult. 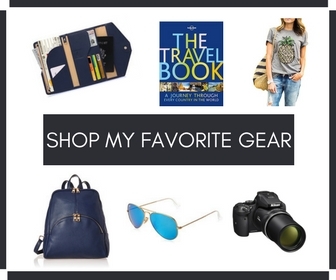 So here I’m helping you with some best travel books and guide books before traveling Bangladesh. The following books on travel Bangladesh will not only guide you to travel but also help you to know the actual history and culture of this country. Bangladesh is naturally beautiful and one of the most welcoming and hospitable countries in the world. There are much to do and see in Bangladesh. To help you and let you know the rightmost about Bangladesh the listed 7 books are recommended for all. A Blonde Bengali Wife, the name itself sounds very interesting. Well, not only the name, this great travel memoir by Anne Hamilton, is much interesting read as well. This book is one of my favorite and I recommend everyone to read and discover Bangladesh from completely a different vision and thought. Here the writer wrote about her own story and experiences while traveling Bangladesh with some health-related volunteer work. Anne wanted to show the real picture of Bangladesh. She also highlighted the three topmost destinations like Cox’s Bazar, Sundarbans, and Sreemangal Tea Garden of Bangladesh. Anne’s first visit to Bangladesh made her fall in love deeply with this country and the people. After that, she visited 12 times, made good friends and brought good causes to Bangladesh with her visit. Yes, A Blonde Bengali Wife book is helping many physically disabled children on Bhola Island. Bhola is in the district of Barisal, Bangladesh. It’s a noble UK charity by Anne who directly contributes her all earnings from this book to the Bhola’s children. It is awful that the real history of Bangladesh is still unknown to many of us. It is because we read less and believe in the propaganda more. A History of Bangladesh has been written by Willem van Schendel, who works as a professor of Modern History of Asia at Amsterdam University. This is the best book to help you to know the actual history of the birth of Bangladesh in 1971. Bangladesh has sacrificed much and gone through a lot to come to this stage. Here the writer nicely described every history and circumstance from the British rule to the fight with Pakistan and later the East Pakistan became Bangladesh. When Bangladesh became famous to the world for many negative reasons like natural disasters and poverty Willem has shown the real color of modern and developed Bangladesh. This is the must-read to spread the positive image of Bangladesh throughout the world. In fact, why should one visit a country like Bangladesh when the image is negative and the history is so unfamiliar to all? I always believe the best ever way to know a country is to go deeper into customs and culture. Yes, Bangladesh – Culture Smart by Urmi Rahman, a Bangladeshi writer and journalist is an essential guide to know customs and culture of a colorful country Bangladesh. Here you’ll see the present Bangladesh as a developed country. Majorities are Muslims in Bangladesh and also the land of all other religions. The Bengali culture practiced by all here. And Bengali is the main language and widely spoken by all. Bangladesh – Culture Smart will definitely guide you to know all the traditions and customs of Bangladesh. At the same time, this guide will give you many practical tips and guidelines which will be helpful to travel and safe stay in Bangladesh. If you want to be much familiar with Bengali culture, art, lifestyle, cuisine, and festivals then this Bangladesh travel guide is a must-read for you. There is nothing to say newly about Lonely Planet as any travel guide by Lonely Planet is all-time best for all travelers. If you’re planning a trip to Bangladesh for the first-time then must try for Lonely Planet Bangladesh. Lonely Planet Bangladesh travel guide will help you to get all current updates from Bangladesh. The best guide for all budgets, with many helpful tips and proper reviews about where to visit, eat, shop, and sleep in Bangladesh. 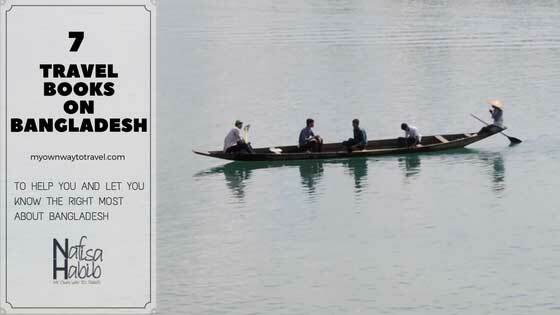 Bangladesh (Bradt Travel Guide) by Mikey Leung who worked as a volunteer in Bangladesh. One of the best and informative travel guide from a foreign tourist who discovered many unknown facts and must-do activities in Bangladesh. Through this guide, the writer wanted to show many offbeat insights of Bangladesh to all visitors. This travel guide is full of the writer’s personal travel information and advice which is welcoming and much effective to stay or before traveling to Bangladesh. A must-read travel guide for all to discover the hidden beauty of Bangladesh. When the rural and natural beauty of Bangladesh is much focusing to all tourists Mohammed Ali Milu, a Bangladeshi writer came with Travel in Bangladesh: Important places to visit Bangladesh. This book is to let you know all about the old and historical architecture of Bangladesh. How about visiting some historical in fact important places in Bangladesh? Then start reading this book before traveling to Bangladesh which will take you over many old centuries. To understand the culture and history behind each creation of historic architect this book is a must-read for all. Sunderbans: The Mystic Mangrove is a wonderful book to know all about Sundarbans, the world’s largest mangrove forest. This informative book on Sundarbans is by Biswajit Roy Chowdhury, who is well known for wildlife photography and also familiar to write all about the natural wonders of many Asian countries. So, if you’re planning to explore the mystic mangrove of Sundarbans then must go through this book to get all insights from the writer views. He has researched 15 years on mangrove forests and so also focused on every risk to save the wildlife environment of Sundarbans. In 1997 Sundarbans has also listed as a UNESCO World Heritage Site. So every adventure lover should not miss visiting this largest forest in Khulna, Bangladesh. 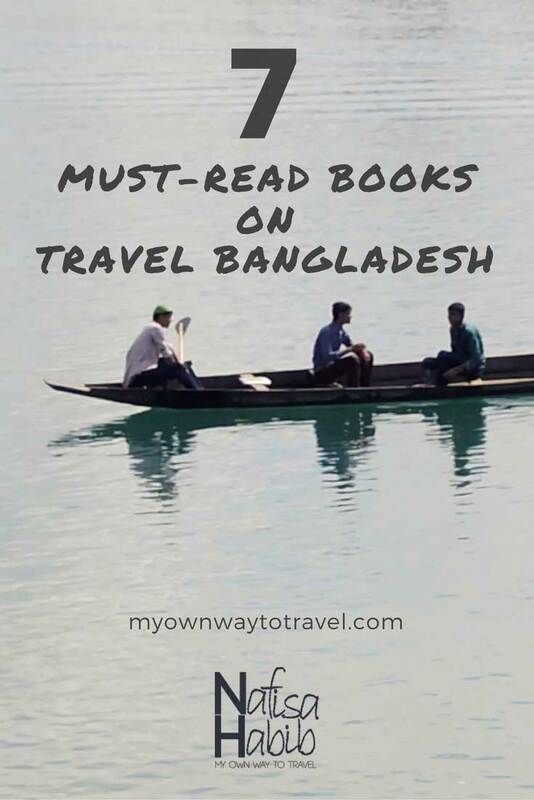 Any other books on travel Bangladesh will you like to recommend here?